DARPA already has a reputation as the mad scientist lab of the defense industry (even if they try to deny their work on metahumans or cyborgs), but their previous projects pale in comparison to the sheer scope of their newest artificial intelligence proposal: KAIROS, short for “Knowledge-directed Artificial Intelligence Reasoning Over Schemas.” Its purpose? 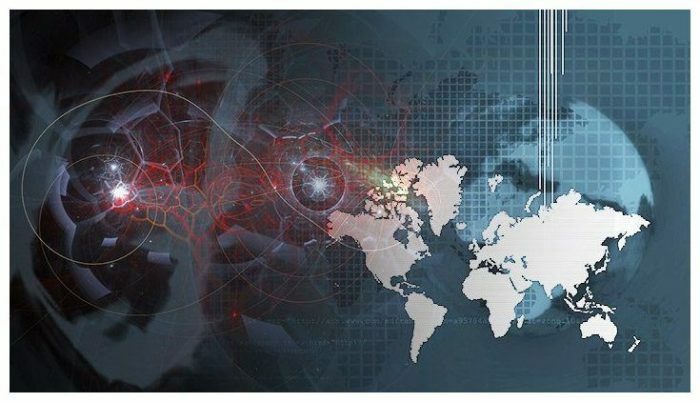 To gaze at the reams of information coming in from all corners of the world to identify patterns and trends that could lead to terrorist attacks, fiscal crises, or other large-scale cataclysmic phenomena. Many companies (and state intelligence agencies) have dealt with the rise of “Big Data” by utilizing artificial intelligence to sift through all the noise to find useful information. So KAIROS is going to have to teach itself, first by learning what “schemas” are. In this case, schemas are like little narratives that help organize different events into recognizable patterns, like the process of going to the store and buying milk because you’re thirsty. After building up an archive of recognized schemas, KAIROS will then need to start applying its knowledge to new data, eventually learning to recognize schemas and predict outcomes. Of course, the “new data” that it will be shown could be nearly anything, even seemingly random information. If KAIROS does its job correctly, however, it should be able to make sense out of the chaos and pick out any hidden patterns, essentially allowing it to get a finger on the pulse of current events… Or even predict what will happen next. You can read the official DARPA press release here.